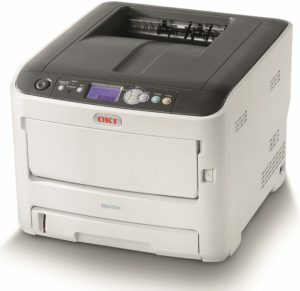 Building on OKI Printing Solutions' heritage of award winning products, the exclusive Executive Series range of Multifunction products, colour and mono printers provide hassle-free, tailored, document solutions, budgetary control and enhanced workflow efficiency. Performance A4 multifunction colour printer for medium volume small business printing. Monthly print volume of 6,000 pages/month. 7.5secs to first print, with a print speed of 30 ppm colour/mono. Maximum paper capacity of 350 sheets, expandable to 1,410 sheets. Print resolution of up to 1,200 x 1,200 dpi. Performance A4 colour multifunction printer for medium volume small business printing. 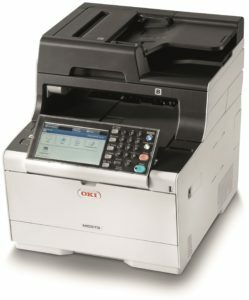 Scan and fax capable, with scan speeds of 30 ppm colour/mono. Monthly print volume of 5,000 pages/month. 9 secs to first print, with print speeds of 34/36 ppm colour/mono. Maximum paper capacity of 400 sheets, expandable to 1460 sheets. Print resolution of up to 1200 x 1200 dpi. Fast A3 multifunction printer for medium to high volume office printing with fax capability. Monthly print volume of 10,000 pages/month. 10 secs to first print, with print speeds of 35/20 ppm A4/A3 paper size. Maximum paper capacity of 400 sheets, expandable to 2,005 sheets. Print resolution of up to 1,200 x 600dpi. 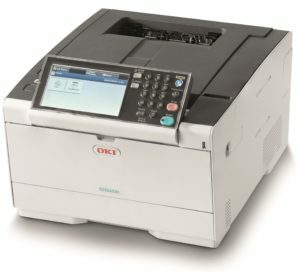 Duplex capability for printing, scanning and fax. 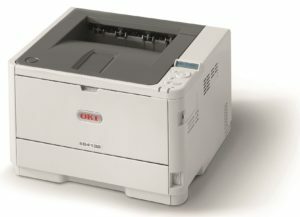 Compact affordable A4 mono printer for low to medium volume office printing. 4.5 secs to first print, with print speeds of 40 ppm. Maximum paper capacity of 350 sheets, expandable to 880 sheets. Print resolution of up to 1,200 x 1,200dpi. 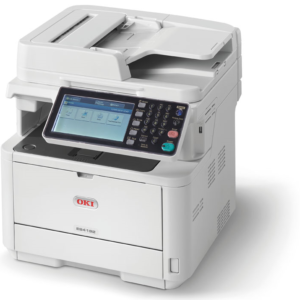 Fast A4 mono MFP for low to medium general office printing. 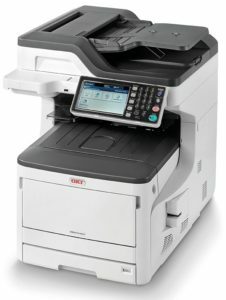 Scan and fax capable, with scan speeds up to 10/30 ppm colour/mono. Copy speed up to 37.5 ppm.